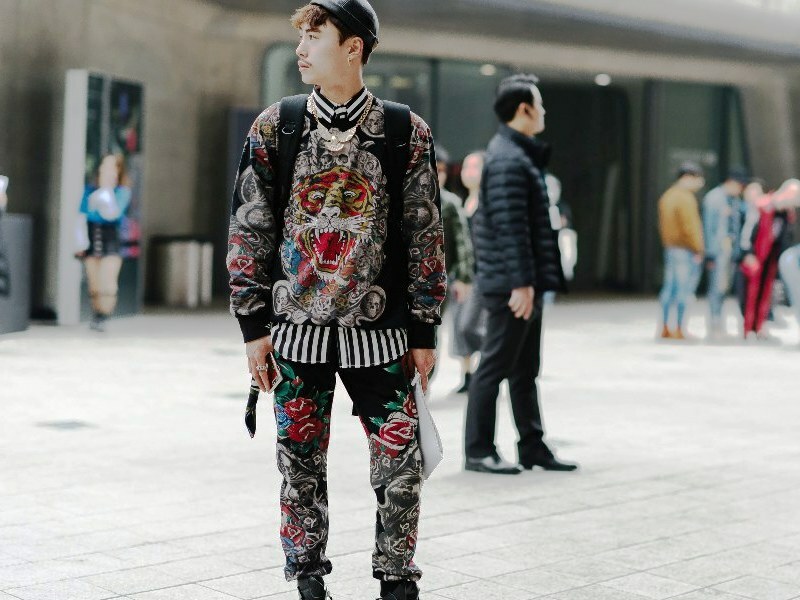 Korean style outfit completely change your personality and make you look smarter. To dress perfectly in Korean style you need to be very selective with your outfit. Korean style suits to a person who is slim and fit. The most important thing to make sure is your size. Your shirt or t-shirt should hug your body at right place. Oversize clothes will look horrible on you. Keep your dressing simple and casual. For formal events choose a perfect fitting shirt and trouser. Shirt colors that are popular among Korean style are navy blue, sky blue, light pink, peach and grey, black and white. Go simple with your looks and here simple doesn’t mean not to look stylish. Wear v-neck t-shirt with trouser or denim with shoes. If you wear shirt button it up to last button of your shirt and you can pair it with simple pant. In summers, wear denim or cotton shorts with a simple t-shirt. For winter you can wear v-neck or round neck sweater over your collar shirt with pants and shoes. In addition to your winter clothes you can wear jacket, muffler and a beanie. Denim jacket over t-shirt is a very cool look you can carry with yourself. In Korean style among guys the most popular accessory is glasses. Glasses give you a very decent look.